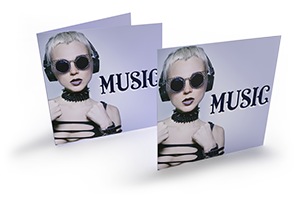 Give your on-disc multimedia productions structure and individuality by including a front insert or booklet. It doesn’t matter whether you are releasing a single that you hope will soon conquer the charts or “only” a video on your last company outing. 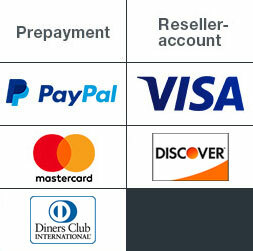 We treat all of our products equally by printing them in the top quality that they and you deserve. 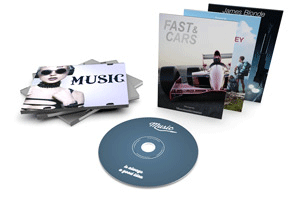 You can have us print all of the parts for a successful, attractive CD or DVD. The cover should be attractive, make a convincing impression at first glance and leave no doubt as to what is on the disc. The book contains detailed information on its contents. And the traycard, finally, should include a table of contents or list indicating the order of the songs or scenes. Major Hollywood blockbusters aren’t the only things that deserve a pretty cover. The same also goes for the video of your last Christmas party or summer holiday. Later it will help you find it in your collection more easily. Our CD and DVD front inserts are naturally available in the right formats to fit perfectly in the corresponding jewel cases. 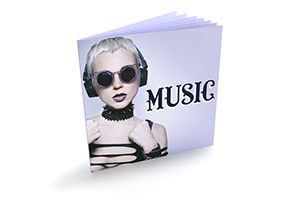 For CDs, we print and supply front inserts, traycards and bookets in a size of 12 x 12cm. For DVDs, make sure to choose the standardized size of 18.4 x 27.3cm. For CDs, we produce these items using 170gsm paper – the ideal weight for making them look just right, i.e. neither too flimsy nor too important, in the case. 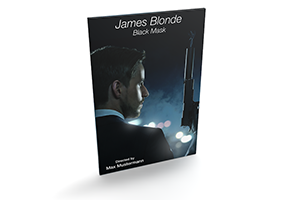 For DVD front inserts, we recommend that you choose our 135gsm glossy paper – perfect for elevating any production to Hollywood status.